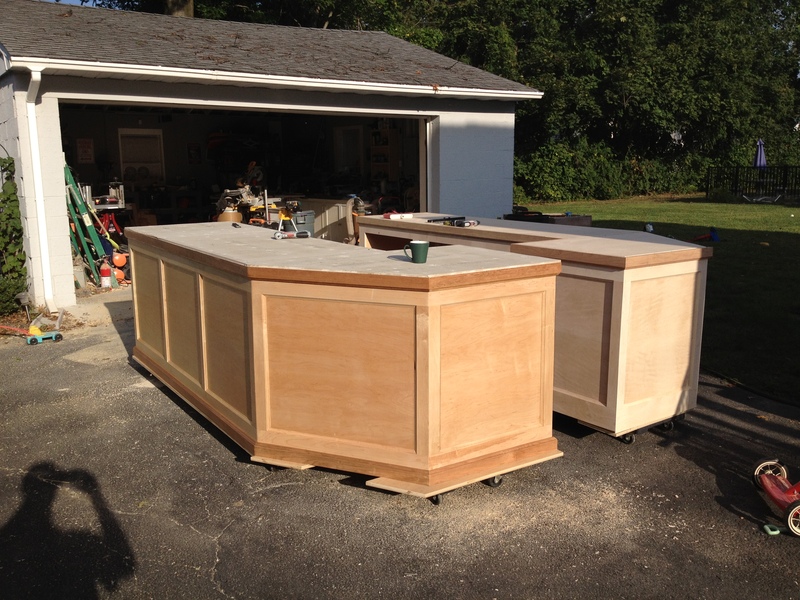 This summer I undertook one of the larger cabinetry projects to date. 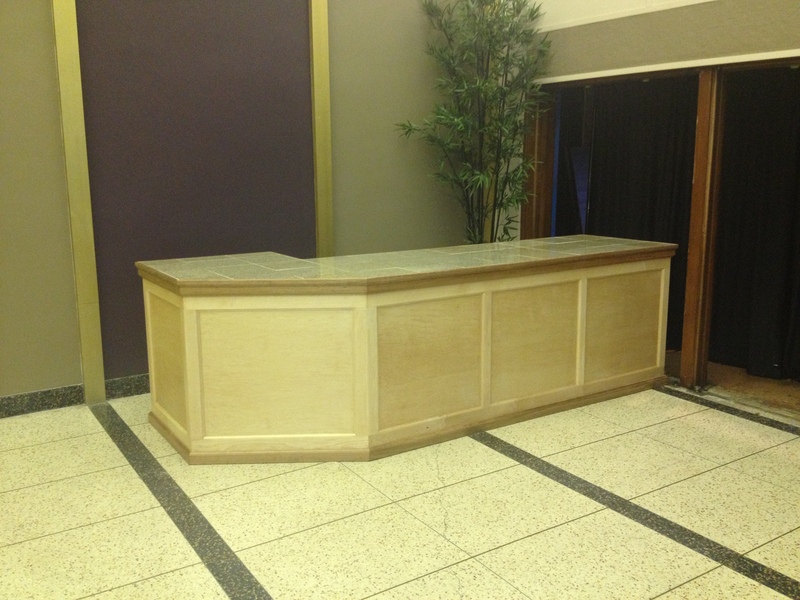 The Bridge Church in Malvern NY needed a welcome booth and coffee bar for their lobby. 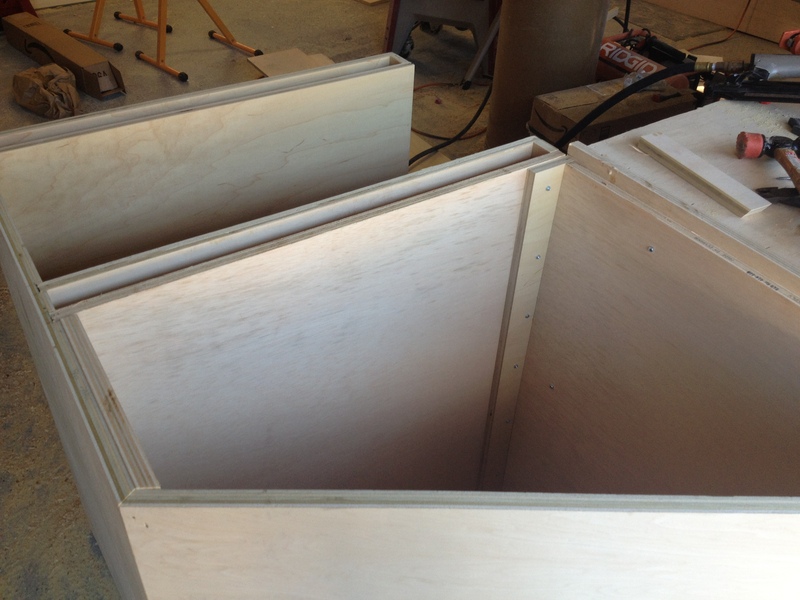 The challenge was to build two very large pieces that could be carried up stair case with corners. The two were built to separate into more manageable pieces and bolted together onsite. The larger section still weighed about 600 lbs. 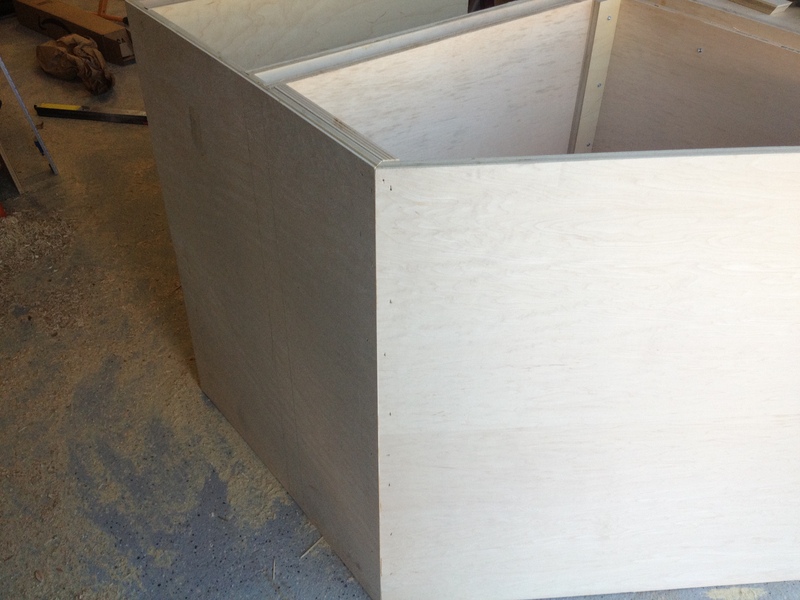 The construction was built out of poplar core maple plywood with solid maple panelizing and cherry banding. 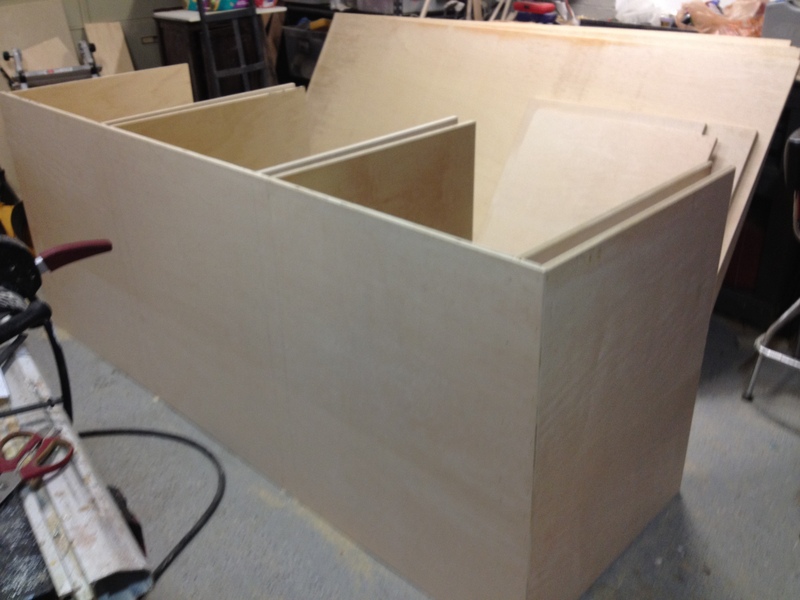 Each piece contains 4 dovetail drawers and adjustable shelves. 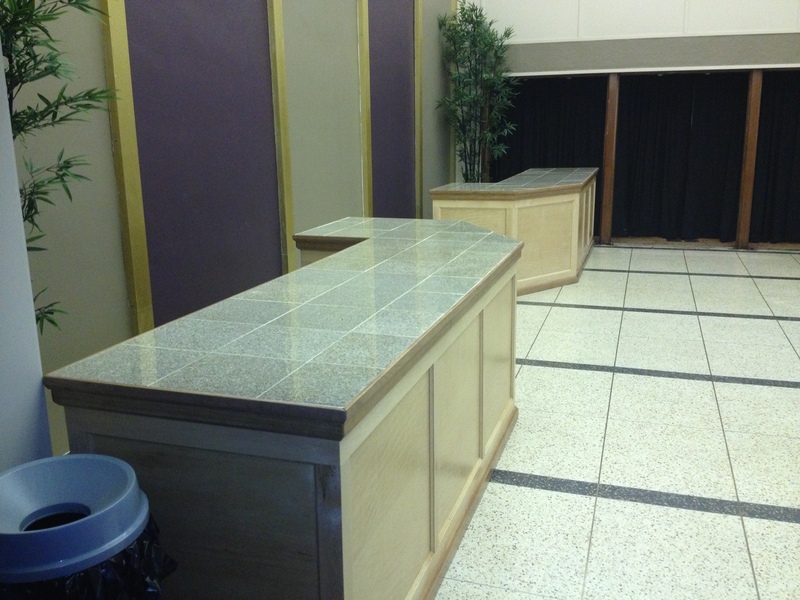 The top is constructed of granite 12 inch tile. 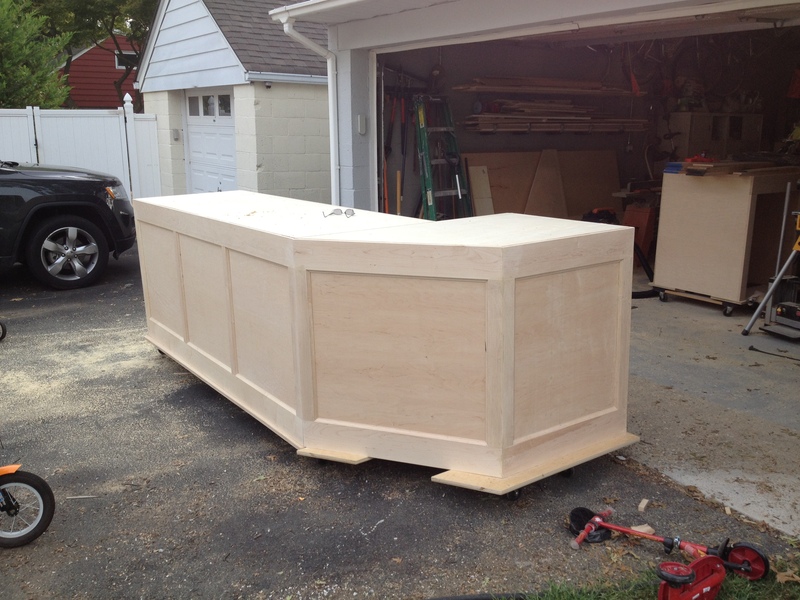 The pieces were large enough they could barely fit in the shop.